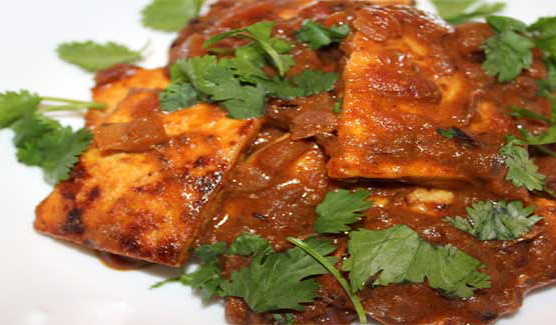 Masala tofu is easy to prepare. This healthy dish is loaded with protein. Make sure you have all the required ingridents with you. Serve your lip smacking masala tofu hot. 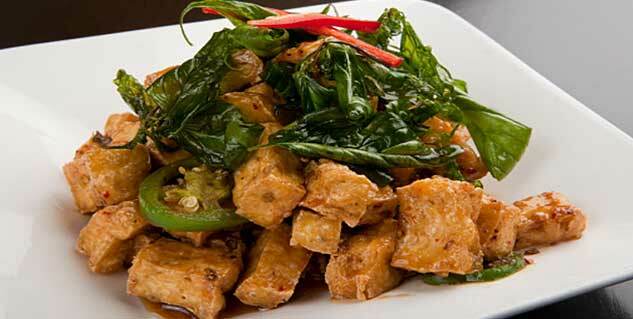 Do you love eating tofu masala but don’t know how to prepare one at home? Look no further, we bring you the recipe for this lip smacking, delicious and healthy dish. But before we move on to that let’s see what all you will need for its preparation. First, take 1 table spoon of canola oil in a large pan and heat it on a medium flame. Now add the cubed tofu and cook them until they turn lightly browned from all the side (keep turning them). It will take only 10 minutes to do so. Once this is done, remove the pan from the stove and set it aside. Now reduce the heat to medium, as you pour in the remaining canola oil, add onion, garlic, and green pepper to the pan and stir them until the onion become soft and turn translucent. Now it’s time to add your tofu to this along with garbanzo beans. Season it with garam masala, salt, and pepper, and pour it in the water. Bring it to a simmer, and cook for another 10 to 15 minutes to get a good consistency. Now remove the pan from the stove, and allow it to rest for 5 minutes. And your mouth watering masala tofu is ready to serve.